Getting around sights in Colombo and Negombo is difficult independently, with often-crowded buses and trains to negotiate. Aimed at travelers who like a variety of activities in a day, this private tour from Colombo combines Negombo’s sights with bird-watching, with ease. 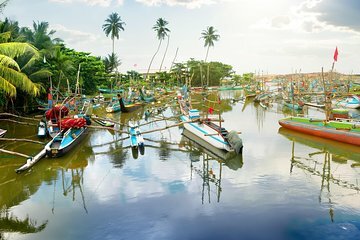 View Negombo's fort, fish market, and more; and enjoy a boat ride around Muthurajawela Marsh to spot birds, baby crocodiles, and other wildlife. Marsh fees and lunch are included.